Easy reading book about dealing with change. 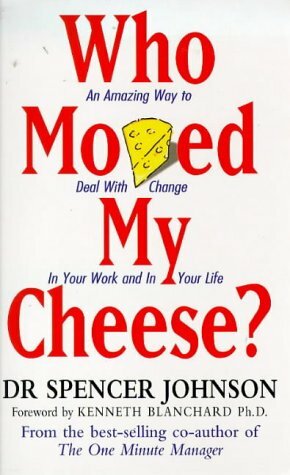 It talks about change with 4 fictional characters chasing the cheese in a maze. Basic message is the same than in other stuff which talks about dealing with change, change is inevitable, select how you deal with it. I admit, I have a tendency to sometimes overanalyse things, so it was good reminder to me that just go with it could be an options also. What I will remember from this book for a longer time is question "What would you do if you were not afraid?" That's a good question, I guess any of us could ask once in a while when dealing with changes. Still admitting or even noticing that you are scared of something might not be that easy. As it is such an easy and short one to read, I definitely recommend to read it.